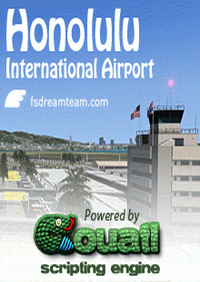 A lot of users liked our X-Plane 11 simulator add-on and were asked to make it for Prepar3D. We did. But we did not just move the plugin to the p3d simulator, we did much better. 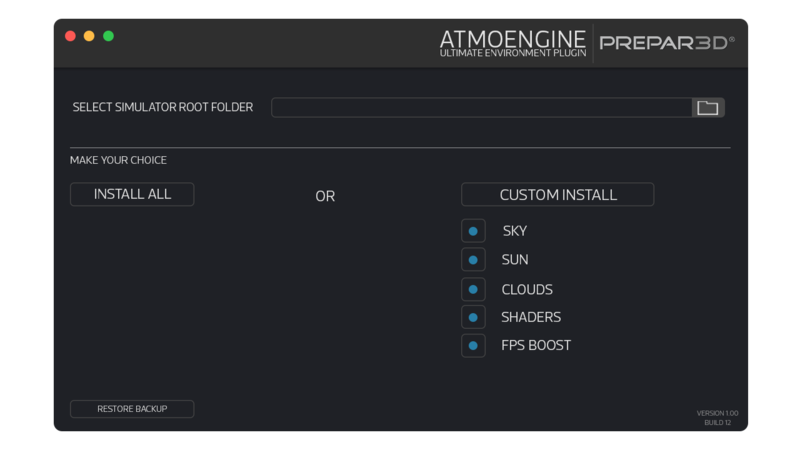 In AtmoEngine for P3D, we have made a full custom launcher with a custom activation system, thanks to which the user will be able to easily install the product both full and partial. AtmoEngine includes a realistic sky, without any transition line between colors, it's not just words, we really got rid of this transition completely. Clouds, sun and of course the environment. And we have created a built-in fps boost. More details can be found below. We have developed a custom logic function that will improve your FPS. At least, after installing our add-on, your simulator will not lose FPS, and it will become even better. In this list we have entered only the most significant parameters. There are still a lot of details, and as we know they create the product. VERY impressed. I've used another 'quick fix" or "quick shade" program that gave me poor results, even after following their instructions... the other product gave me such dark nights I could hardly see anything. THIS product has been incredible. If I could attach screen shots I would. Buy it.. I think for a quick shade program they did an incredible job. Even the clouds are much, MUCH better! The sky is looking very realistic. I'm very pleased with that. Very impressive addon. The sky is beautiful here. Recommend. Everything looks really nice, but I am most definitely NOT noticing an FPS Boost, the opposite infact. For the first time my fps tend to go and remain under 20 fps in certain situations. (i7-7700k @ 4.5Ghz + GTX1080). Just a small concern for the installation that was quickly settled with the team, I was very impressed by the speed of their response and their effectiveness. I'm already flying three days with this plugin and my final opinion: this is the best visual add-on that I've seen ever. I was already impressed with the x Plane version and decided to give a chance to Atmoengine for P3D4 taking account I was already happy with other products that I was using in my FS build, like Envtex, Envshade, ASCA, also tried before SkyForce 3d, PTA... My first try was not so succesfull. I found a very promissing plugin for P3D but I couldn't get working fine in my P3D. I must say that since the P3D V4.4 update I've been having a lot of performance issues with an advanced setup builded in base a MB Rog Maximus Hero X + i7 8700K OC at 5Mhz, Nvidia RTX 2080 and only SSD drives in my PC. 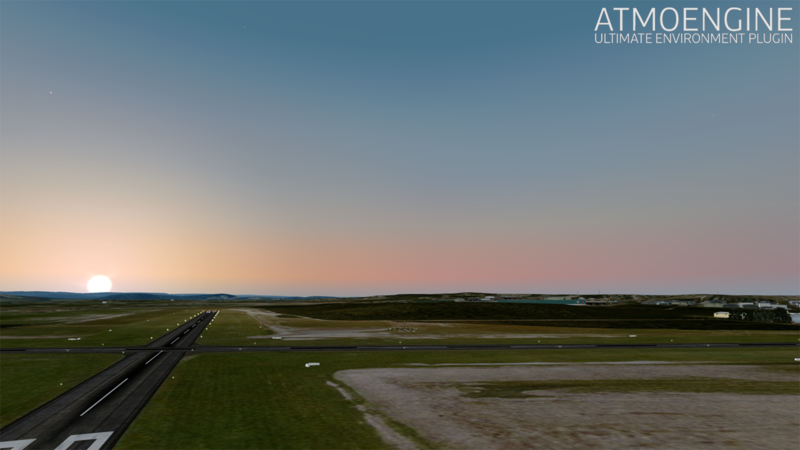 My issues came with blurries in photoreal terrain and tried them the custom install disabling FPS Boost option, deactivating the sun (I founded to small at my taste) but this test was done after installing Orbx True Earth GB south. I cleared the shaders cache, restored the default textures and uninstalled Envtex textures, Asca Clouds, and Envshade shaders. But I have found that the blurries was already caused by the complex TE GB Scenery, and give another try to the update of Atmoengine that MWP Projects released the second day and I'm very, very happy with this product. I love the photoreal skies, I love the clouds, shaders, shadows internal and external, night lighting and the FPS Boost I finally have thanks to MWP Projects Atmoengine plugin. I think this is a very promissing plugin that can easily replace other addons you can use in your build, I hope the developers implement more options in the GUI, like clouds sets, Sun Size, watter colors and wave (I didn't like so much the watter currently). 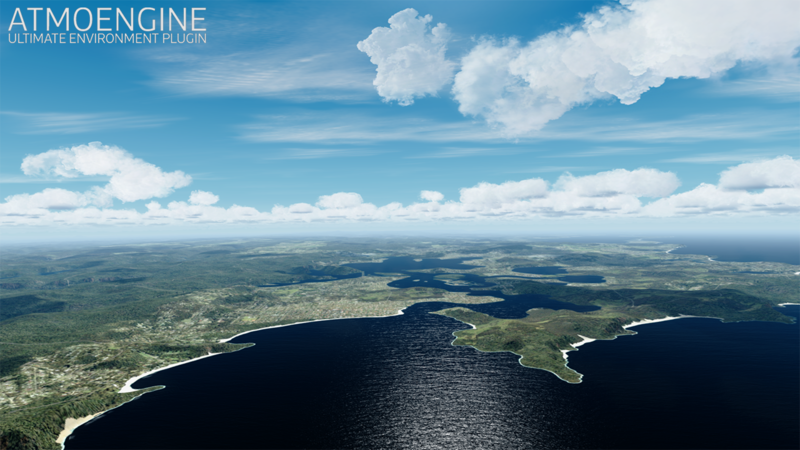 Currently I'm very happy flying with Atmoengine combined with another Envtex textures and replacing with Atmo envshade, pta, and ASCA and Envtex clouds. 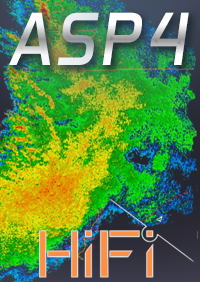 If you are new with this kind of addon I think you will be happy investing in atmoengine for P3D4. I don't give five stars because I think still we need more options and custom sets, but I'm confident in the work of MWP Projects in P3D and XP11. Very pleased with the purchased product! Quick and convenient installation. 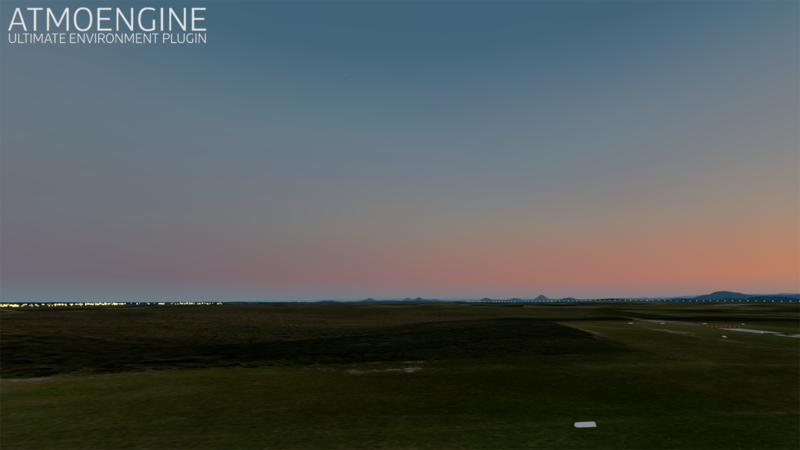 The simulator has got a gorgeous sky and environment with this product! I prefer to use my own sun and I'm glad that it can be compatible with this product. Huge plus for devs for the possibility of custom installation. Definitely worth the money. Highly recommend. Bought the product and am very pleased. Great sky tones. The most important stated function of fps boost really works, I made a comparison on pmdg 777. Definitely worth the money! That’s why I finally don’t regret the money I invested in the product.  IS product has been incredible. If I could attach screen shots I would. Buy it.. I think for a quick shade program they did an incredible job. Even the clouds are much, MUCH better! 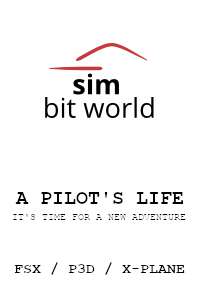 My sim looks just fantastic with atmoengine plugin! everything is just fine and fps boost works well The sky is looking very realistic. I'm very pleased with that. 7700k @ 4.5Ghz + GTX1080). 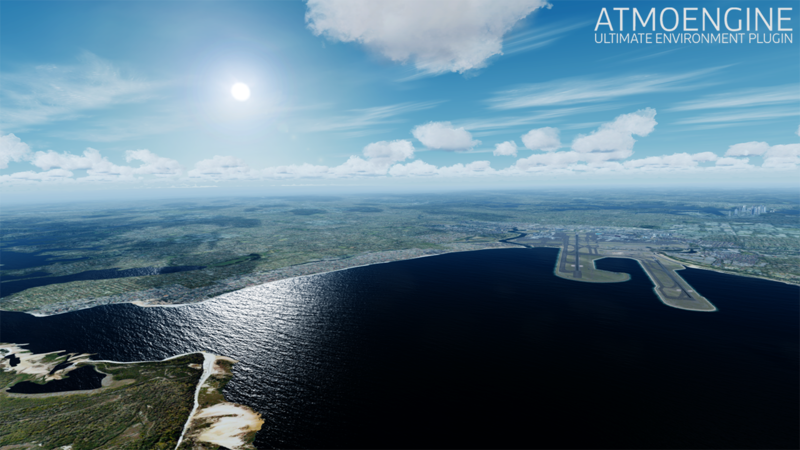 I was already impressed with the x Plane version and decided to give a chance to Atmoengine for P3D4 taking account I was already happy with other products that I was using in my FS build, like Envtex, Envshade, ASCA, also tried before SkyForce 3d, PTA... My first try was not so succesfull. I found a very promissing plugin for P3D but I couldn't get working fine in my P3D. I must say that since the P3D V4.4 update I've been having a lot of performance issues with an advanced setup builded in base a MB Rog Maximus Hero X + i7 8700K OC at 5Mhz, Nvidia RTX 2080 and only SSD drives in my PC. 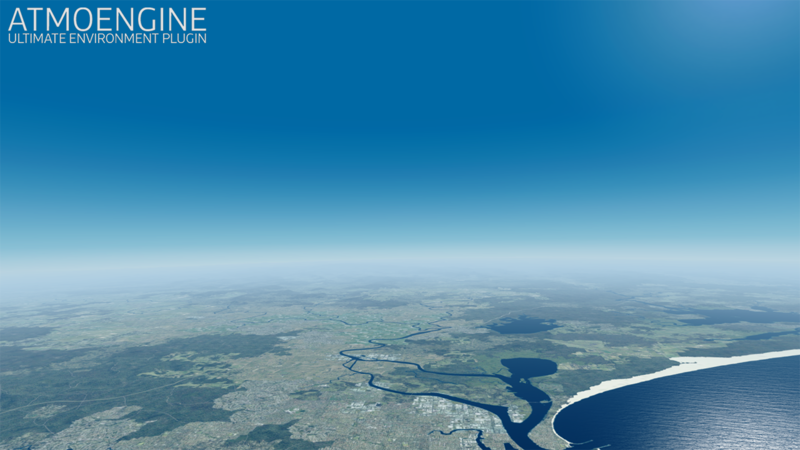 My issues came with blurries in photoreal terrain and tried them the custom install disabling FPS Boost option, deactivating the sun (I founded to small at my taste) but this test was done after installing Orbx True Earth GB south. I cleared the shaders cache, restored the default textures and uninstalled Envtex textures, Asca Clouds, and Envshade shaders. But I have found that the blurries was already caused by the complex TE GB Scenery, and give another try to the update of Atmoengine that MWP Projects released the second day and I'm very, very happy with this product. I love the photoreal skies, I love the clouds, shaders, shadows internal and external, night lighting and the FPS Boost I finally have thanks to MWP Projects Atmoengine plugin. I think this is a very promissing plugin that can easily replace other addons you can use in your build, I hope the developers implement more options in the GUI, like clouds sets, Sun Size, watter colors and wave (I didn't like so much the watter currently). 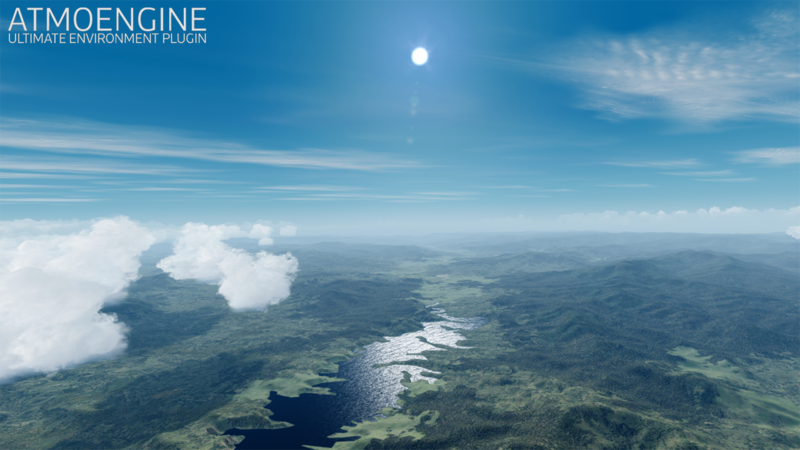 Currently I'm very happy flying with Atmoengine combined with another Envtex textures and replacing with Atmo envshade, pta, and ASCA and Envtex clouds. 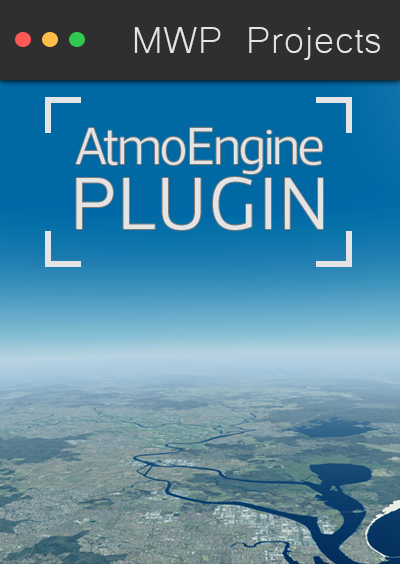 If you are new with this kind of addon I think you will be happy investing in atmoengine for P3D4. I don't give five stars because I think still we need more options and custom sets, but I'm confident in the work of MWP Projects in P3D and XP11.